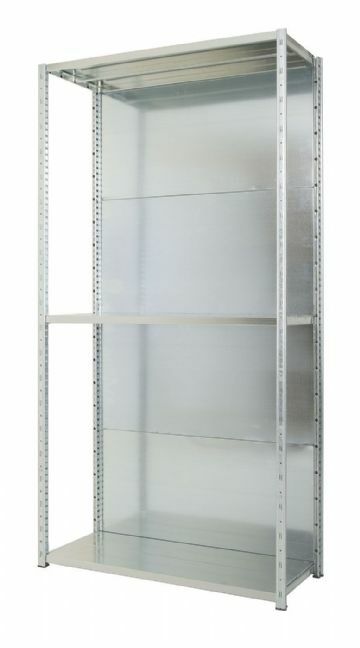 Galvanised Boltless shelving. 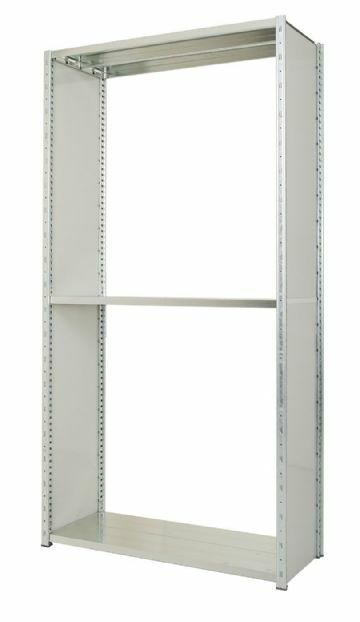 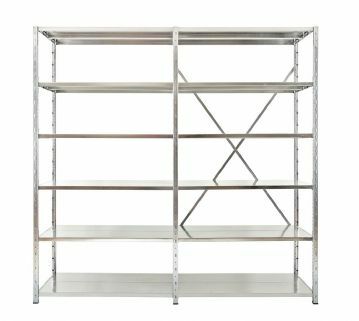 Expo 3 uses the same upright as our Expo 4 shelving system, but has the unique shelf design which can have capacities up to 400kgs UDL. 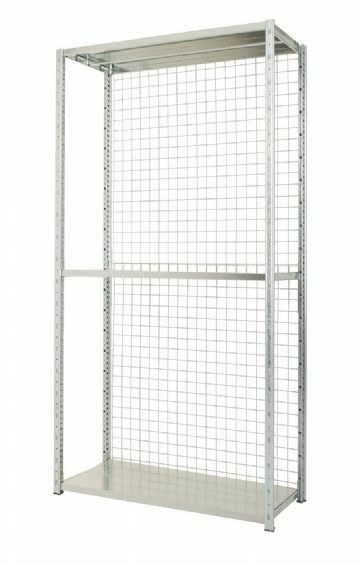 The design is based on a pair of shelf carriers and the combination of 100mm or 200mm panels to make up the required depth.